In 1959, a small group of Chattanooga railfans, concerned about the dissaparance of steam locomotives and passenger trains for the railroads of America, organized the Tennessee Valley Railroad Museum (TVRM). In 1961, the TVRM was formally chartered as a non-profit, educational corporation. The first eight years were devoted to collecting whatever equipment was obtainable by donation while seeking a permanent site for construction of an operating railroad in the Chattanooga area. In 1969, this search ended successfully when the Southern Railway System (now Norfolk Southern) gave TVRM a 4-acre tract in East Chattanooga located adjacent to the original c.1856 Southern main line. This rail line had been abandoned upon completion of Citico Yard in 1954 (now renamed Debutts Yard) and an alternate double-tracked route around the base of Missionary Ridge which bypassed the single-track tunnel and its operational bottleneck. Beginning in 1969, TVRM volunteers began the arduous reconstruction of railroad right-of-way and the eight-track East Chattanooga storage area. TVRM’s mainline penetrates Missionary Ridge about 1/2 mile east of the Depot, passing through a 979-foot long tunnel bored between 1856 and 1858. Our construction proceeded for the next six years at a slow, but steady, pace until stopped by a 146-foot long gap in the line which had been created by the removal of the original Tunnel Boulevard culvert. In 1977, TVRM completed construction of a modern bridge panning the 4 highway lanes of Tunnel Boulevard and resumed track construction, which permitted doubling the length of our line, leading to a terminus near Cromwell Road (complete with a wye) where today all trains are turned. Since TVRM is a volunteer (non-profit) organization, what might have taken a commercial railroad about four months to complete took us nearly 20 years. Today, however, TVRM’s 6-mile roundtrip run stands as the only full-size operating railroad museum in the state and is providing the only regularly scheduled passenger service in east Tennessee" and generally pulled by a steam locomotive. 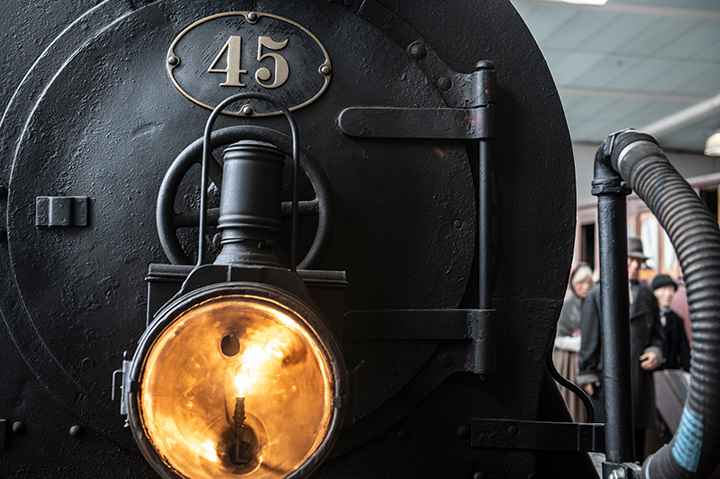 It is the largest operating historic railroad in the southeast and Chattanooga’s "Trademark Attraction."